The U.S. Forest Service is accepting public comment on a proposal that could possibly limit the number of campgrounds in the area, and provide necessary upgrades and improvements to others. U.S. Forest Service District ranger Jim Dawson reported during a regular Town Council meeting on Monday, November 5 that the Forest Service is recommending closing area campgrounds as part of its Recreation Facility Analysis. The analysis is an inventorying tool used by the National Forest Service to determine the fate of recreational sites within a forest. The Forest Service is collecting public comment on the recommendations until December 15. “I want to stress that no decisions have been made and we are asking for your input,” Dawson said. Under the plan, several campgrounds and picnic areas would be closed completely, while others would lose maintenance services and facilities such as bathrooms and picnic tables. Some of the proposed campgrounds, including the Gothic campground, would still allow dispersed camping in the area. “Dispersed camping” is the term used for camping anywhere in the National Forest outside of a designated campground, and is generally allowed anywhere except where posted as closed. The Forest Service is considering downgrading or closing 37 sites throughout the Grand Mesa, Uncompahgre and Gunnison National Forest. During the presentation several Crested Butte Town Council members said they were worried that the changes could negatively affect tourism in the area and asked why particular sites like the Gothic campground were targeted. Dawson said budget constraints and the estimated cost of redeveloping the older sites are the driving factors for the recommendations. By consolidating use, the Forest Service hopes to direct attention and resources to more popular sites like 13-site Cement Creek campground and the Lake Irwin campground. The Forest Service is recommending adding electrical hookups and rehabilitating the entire Cement Creek campground site—a $44,000 upgrade, Dawson said. As for Irwin, plans include upgrading the site to a “standard” level for campgrounds including water, paved roads and toilets. “Essentially we are consolidating use so we can provide an increased level of service for the areas we are going to keep,” Dawson said. Crested Butte mayor Alan Bernholtz said the Town was glad to hear the Forest Service planned to rehabilitate the Lake Irwin campground, but was disappointed to hear the Forest Service planned to close the Gothic campground. He added the Town would like to see a campground established closer to the Town limits rather than more dispersed camping. “We need more, not less—I can’t see closing Gothic. It’s such a used area,” Bernholtz added. Town Council member Skip Berkshire agreed with Bernholtz and said he was uncomfortable with the Forest Service encouraging dispersed camping rather than maintaining designated sites because of the potential environmental impacts. Dawson agreed there is a need for developed camping in the Crested Butte area but noted a lack of potential locations and funding have deterred such development. 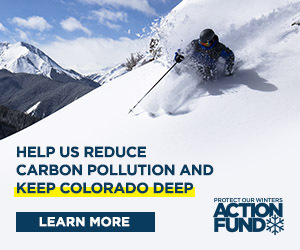 “The Forest Service has looked and re-looked at all the drainages close to Crested Butte and there really isn’t a site that is a reasonable distance from Town with suitable sites for a large campground,” Dawson said. Dawson also said the dispersed camping would be located in areas the Forest Service could still manage, thus preventing severe effects. Dawson said the historic use on the public lands in the local area has been people showing up and finding a place to camp, rather than using designated campgrounds. “I do want to stress the reality of our world—our budgets are fractions of what they used to be, and we want to provide a safe experience for the public, so we have been forced to consolidate some uses and manage it to the best of our ability,” Dawson added. The Town Council members agreed to submit comments on the proposed recommendations on behalf of the Town. The letter to the U.S. Forest Service will be presented at the December 5 council meeting. The public may also provide input on the proposed plan before December 15. Comments can be sent to Gunnison Ranger District, 216 N. Colorado St., Gunnison, CO 81230.